Your team will grow in the great outdoors with action learning events, activities, and exercises. Teams develop during the experiential learning cycle as they experience unique problem solving challenges, reflect on the team process, and develop and test new theories of performance. Action Learning is a process for bringing together a group of people with varied levels of skills and experience to analyze an actual work problem and develop an action plan. The group continues to meet as actions are implemented, learning from the implementation and making mid-course corrections. Action Learning is a form of learning by doing. These three Action learning experts will help you plan your next teambuilding event. What are your life time goals? Dream? A fantastic sequence of teambuilding activities - any place, any time, anywhere.Team Expedition is an engaging series of team building initiatives. Teams follow the experiential learning cycle as they experience unique problem solving challenges, reflect on the team process, and develop and test new theories of performance. The program design and facilitation ranges from light discussion to in depth knowledge transfer to personal and professional lives. Ask about our "Better-Faster-Cheaper" framework where collaboration and information sharing drives they key to organizational success. Each event is customized according to the focus of your organization and specific desired outcomes. Location InformationThis event takes place outdoors at a location near your resort. Ask about some of our favorite outdoor locations, such as the Murie Center in Grand Teton National Park. We all know that people are more productive when they practice productive behaviors. Our role is to help you determine those productive behaviors, and then train you and your colleagues so that you can improve your inter-personal and intra-personal skills. We employ the action-learning model of doing, reflecting, learning and improving in all of our course designs. 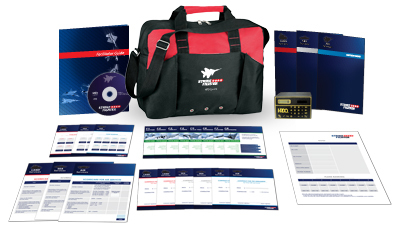 Before the people in your organization attempt to maneuver through real-world negotiations, give them the opportunity to practice their skills in the safety of the classroom with Strike Fighter, HRDQ's new action-packed simulation. The winner of the 2009 NASAGA Game Design Competition, this learning-rich experience is aimed at helping individuals become more competent and confident negotiators by teaching a solid start-to-finish strategy. 24 customizable scenarios. Unlimited use. One low price. Get instant access to an incredible library of simulations that you can easily add to your training. 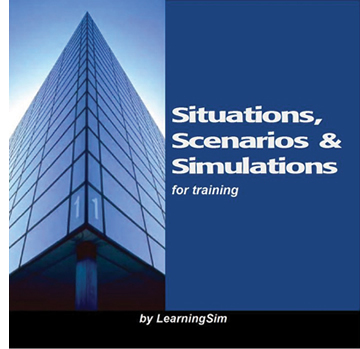 The Reproducible Simulations Library (RSL) is a robust collection of 24 downloadable scenarios on compelling soft-skills topics such as decision making, negotiating, leadership, and more. Similar to our other reproducible training resources, they're ready to deliver "as is," but you can also tweak the content to fit your needs. Hit print and then use them over and over again. Volumes I and II were a hit with our clients, and now there's a new collection! The Training Games Library, Volume III is a great low-cost resource for customizable training games. Available for immediate download, these games are built on a PowerPoint® platform, so they're simple to tailor for a fun, interactive, and relevant learning experience that you can use over and over again.